The 100 Black Men of Chicago, Inc. mourns the loss of prominent Community Leader Phillip Jackson. 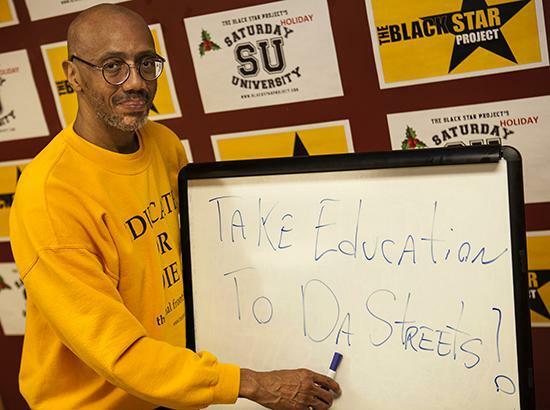 Phillip Jackson, a strong, dynamic and soft-spoken man who walked the talk, and was known for his activist work in Chicago’s neighborhoods, lost his bout with cancer on Sunday, November 4th. Mr. Jackson founded the Black Star Project and was a former CEO of the Chicago Housing Authority. The Black Star Project was best known for its “Million Father March”, which encouraged fathers to take their kids to the first day of school. Mr. Jackson was 68 years old. We ask that you please keep Mr. Jackson’s family in your thoughts and prayers during this difficult period. Thank you.